This substantial volume showcases 35 of the presentations delivered at the 5th International Brachiopod Congress in Copenhagen. The brachiopod congresses are a focus for cutting–edge research in brachiopod palaeontology and neontology. The presentations from the Copenhagen Congress cover a wide range of material from basic morphology and taxonomy through advances in molecular phylogeny and ultrastructural studies to the biogeography and palaeoecology of the phylum. 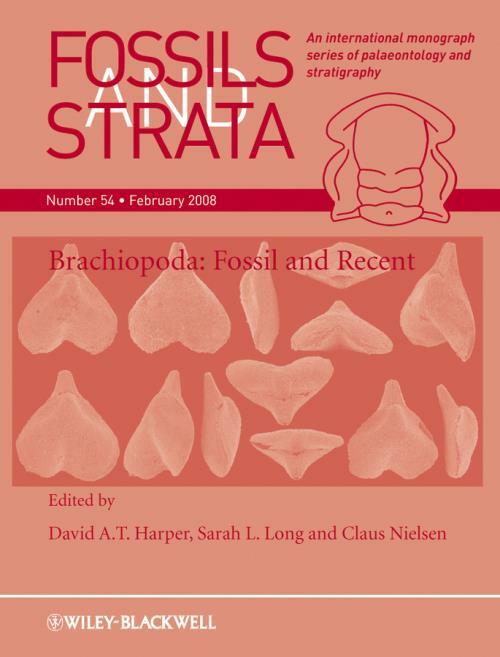 About 75% of the papers relate to fossil brachiopods and the rest to living forms The following fields are represented in the volume: Taxonomy/Morphology (25%), Ecology/Palaeoecology (35%) and Stratigraphy/Biogeography (20%), phylogeny (10%) and Biochemistry/Genetics (10%). The volume is beautifully illustrated throughout and the papers together represent an exciting snapshot of contemporary brachiopod research as it continues into the third millennium.